There has been a murder at Styles Court. Detective Poirot comes out of retirement to solve who would want the rich heiress Inglethorp dead, and would have the impudence to poison her. The jagged plot turns keep Poirot - and the reader - guessing as suspicion shifts from one peculiar character to the next. 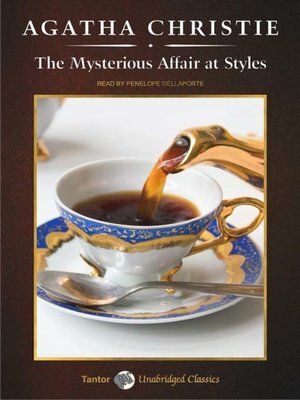 In Agatha Christie's first published work, the reader meets Belgian detective Hercule Poirot, destined to become the central detective of her mystery novels.